Our rustic pine tree outdoor lantern will add a rustic charm to your rustic or log home. Burnished bronze finished metal with white Tiffany glass lens. 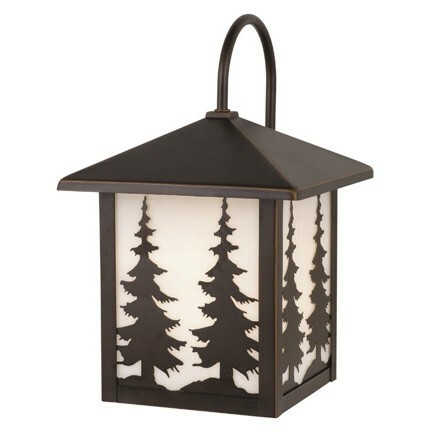 Our rustic pine tree outdoor lantern will add a rustic charm to your rustic or log home. Burnished bronze finished metal with white Tiffany glass lens. 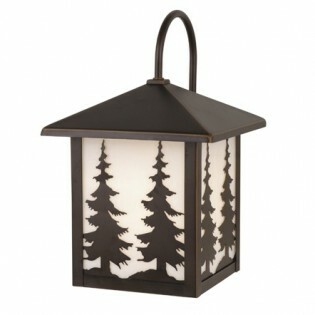 This pine tree lantern measures 8" wide x 12.5" high x 9" deep and uses one 100 watt bulb. Ships in approx. 3-5 business days.